Written by Scott Dorward and continuing the the story started in last week's release of the Lovecraft Story - From Beyond we start one chill winter's night where residents of a shantytown in Depression-era Massachusetts find their community under assault from unknown forces. Who or what is preying on them? Will the investigators find out before those they hold dear are destroyed? From dark to chilling. A series of mysterious and gruesome events in Hooverville lead out party on the search for the culprits and the cause. What evil pervades Hooverville and how far with the party go to find out? After a daring escapade, our intrepid, ragtag party finds things aren't exactly safe and sound at the home of a friend. 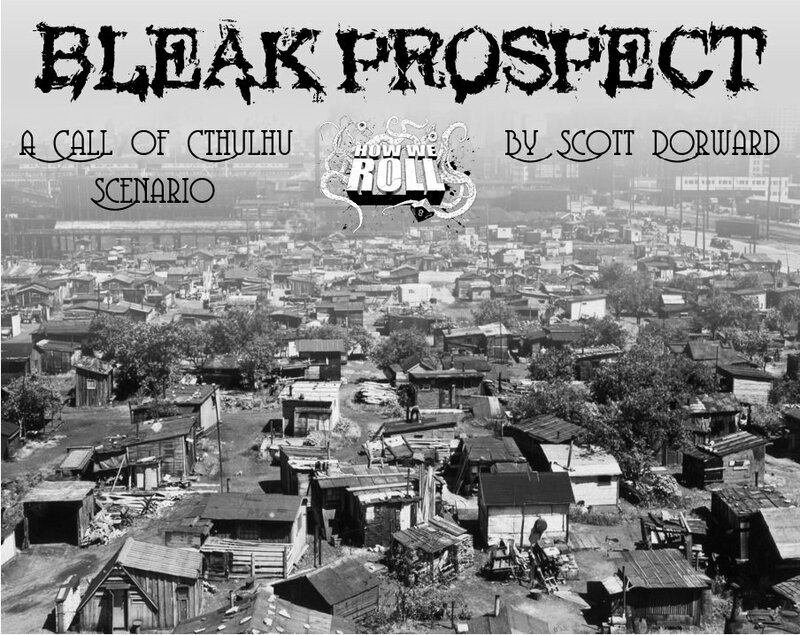 We're back with the next instalment of our exciting #CallofCthulhu Scenario - Bleak Prospect - Our intrepid investigators have tracked down the missing child to the old Hawks' estate but what s that sound from the undergrowth??? In our penultimate episode the diseased investigators descend into the darkness of the cellars beneath the Hawks' Estate. Guesting @Laughlovelindy and featuring an Idle Champions Giveaway! In our exciting finale of Chasoium's Bleak Prospect, our surviving investigators must battle the Midas Circle and Activate the Hawks' Device!